Stories of Origin is a new MR series of articles and interviews that explores the lived experiences of both returning and potential migrants and their families. In the second part of this series, we explore the nature of repatriation, and the lives of the survivors. We traverse narrow culverts in steep slopes to reach homes in deeper reaches of the hills. Sounds of running water and the smell of clean mountain air. Plump faced children in tattered clothes play under a large tree that serves as a village square. We stop at Maneprasad’s home. He returned to Yampaphant seven months ago, after a six-year stint in Saudi Arabia. Maneprasad went to Saudi via India, a route taken by many to bypass the training and orientation required in formal migration. He is stoic about his Gulf experience. He makes a sweeping a gesture, to show what he built in the six years. A modest little home. Ganga Prasad left Qatar for good when his 26-year-old best friend and roommate went to bed and never woke up. He speaks of harsh working conditions he endured here. Ravindra Prasad worked in Qatar for two years. Once he achieved his goal of saving capital for his business his returned to Nepal, and now runs a successful poultry farm. He advises potential migrants to work as hard in Nepal as they would in countries of destination. Maneprasad worked in Saudi for six years. He has been in Nepal, unemployed, for seven months now, and hopes to remigrate. Rajesh worked in Umm Said, Qatar for three years. 550 riyals work. Since his return in 2006 he has been running his dairy business and is one of 80 cattle farmers in the village who run a co-operative. 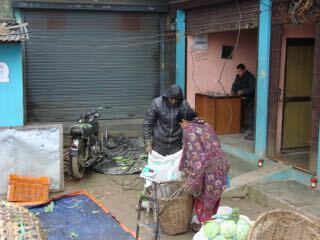 Farmers sell their produce to a middleman at the foot of the hill. It is then taken to the wholesale market. Lack of a proper co-operative system means their profitability is limited. His reluctance to share his experiences is not unique either. Most returnees prefer to maintain an image of success and well-being, similar to what they aspired to pre-departure. Ravindra Prasad is more vocal. He spent two years in Qatar and returned in 2011. He shows his poultry shed. The radio blares 24x7. The music keeps the hens calm and from running wild. They move enough, but not too much. Innovative free range poultry. He is proud of what he has here. He says loud enough for the young aspirant by my side to hear. “If I had worked this hard here, I would have made more money. This is what I tell people here in the village. Ravindra doesn’t mince words. “People don’t want to work so hard here. I chose not to make my house, instead invested in business. It’s a decision my wife and I took. My children ask me sometimes if I will go back to the Gulf, because they see others in the community. I will never go back. And that’s evident. Many returnees Migrant-Rights.org met have been back for several months and wait for the next opportunity. Not all see potential for sustenance working locally. Somprasad, our host and a returning migrant, says: “People don’t have long term business plan. If there’s a failure they abandon. Ganga Prasad is amongst those seeking remigration. His business ventures have not worked out as hoped, and he has no choice but to seek foreign employment yet again. He is a small, strong man with sinewy arms. He flips a heavy bench one-handed, and offers me a seat before setting out to share his story. He ran away to India as a child and worked there for 15 years. As an adult, he worked in Qatar for seven years, five of which were at QAFCO (Qatar Fertiliser Company). He brings out all his documents and identity cards, carefully filed, including a recommendation letter. People doing similar work, directly employed by Qatar Petroleum earned a lot more, he says. Ganga took his employer to ‘labour court’ (the labour department) when they kept breaking their promise to send him on a long overdue vacation back home. 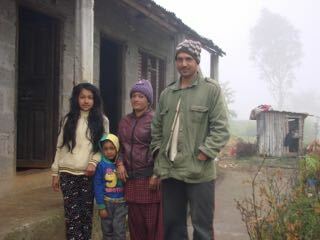 Purna Bahadur is a returning migrant. He now plays the role of a social worker, helping bereaved families receive compensation. Meena Kunwar's husband died in his sleep in Qatar. There was no compensation received from employer. Her 18-year-old son is now seeking employment in the Gulf. Bhavara is 18. She was married for six months and widowed for more than a year. A husband had migrated to Saudi Arabia. It wasn’t because of pay alone that he was desperate to leave Qatar. A few days later, back in Kathmandu I meet Meena Kunwar and Bhavara Aiyari. Meena is in her 30s but looks much older; Bhavara is 18, but looks a child. The most valuable documents in their life is in the worn-out backpacks they each carry. The death certificates of their respective husbands. They have travelled a day and a half from the Salyan district of Nepal to claim compensation. Dilli Bahadur Kunwar died in Qatar a couple of years ago. He received no compensation from his employer, as he ‘died in his sleep’. He left behind his wife, son and four daughters. Nepal Foreign Employment Promotion Board will pay them a compensation of NPR900,000 ($9000). Next step for the family? Her 18-year-old son is seeking foreign employment. The cycle continues. 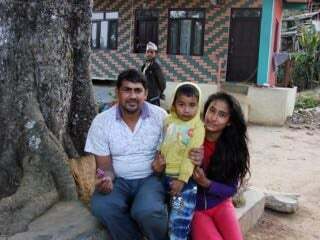 Bhavara’s husband, Nar Bahadur Aiyari went to Saudi Arabia and within three months was sent back due to poor health. Within a couple of weeks of return, he died. He was just 21. “He was healthy when he went, the medical was clear. But on going there developed all kinds of issues,” says his widow, who had been married for just six months. Purna Bahardur Budha attempts to explain these deaths. 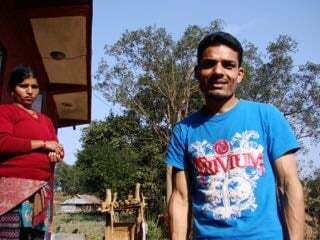 A returning migrant himself, he is a social worker of sorts, helping families of migrants in his village. No one else seems to have a better explanation. Not even the doctors in Qatar who attribute these strange deaths of able-bodied young men to cardiac arrest. There’s no arguing against the fact that lack of sleep, and poor living and working conditions contribute to debilitating health. 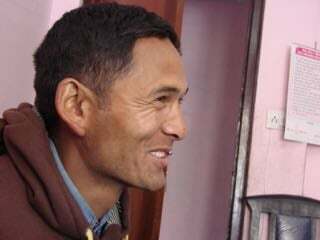 Purna Bahadur is unable to work abroad again because of his health condition. A point that was raised during the Qatar Labor Minister’s recent visit to Nepal. At least 70 percent of Nepali migrant workers who died in Qatar are deprived of compensation. In the past four years alone, 684 Nepali workers died in Qatar, according to the Foreign Employment Promotion Board. The Board had issued reimbursement to families of 205 deceased workers in 2013/14, 110 in 2012/13, 130 in 2011/12, 125 in 2010-11 and 114 in 2009-10, though the exact number of death is said to be higher. Most players do see the opportunities, but returning migrants have more clarity on the challenges. He now counsels potential migrants, preparing them for what they should expect there. How receptive are the potential migrants? Do they listen? “Not all of them. But many do. It’s too hot. No proper water, and they end up drinking sugary fizzy drinks that make it worse. That really affects their health as they are not used to it. The worst part of Qatar is the accommodation. hundreds sharing just 1 or 2 bathrooms. Which brings us to the most reviled and unregulated part of the migration cycle. Recruitment and orientation. Next: Recruitment or human trafficking in disguise?